I loved summer afternoons as a kid because when my dad would get off work, we would always head to the backyard for a game of catch. I played every sport, but in the summer, I was obsessed with baseball. My dad always took the time to work with me on my game and encourage me to get better day by day. I was a pitcher, and I loved every time I had the opportunity to stand on a mound 60' 6" away from a competitor. Creativity is defined as the use of the imagination or original ideas, especially in the production of an artistic work. 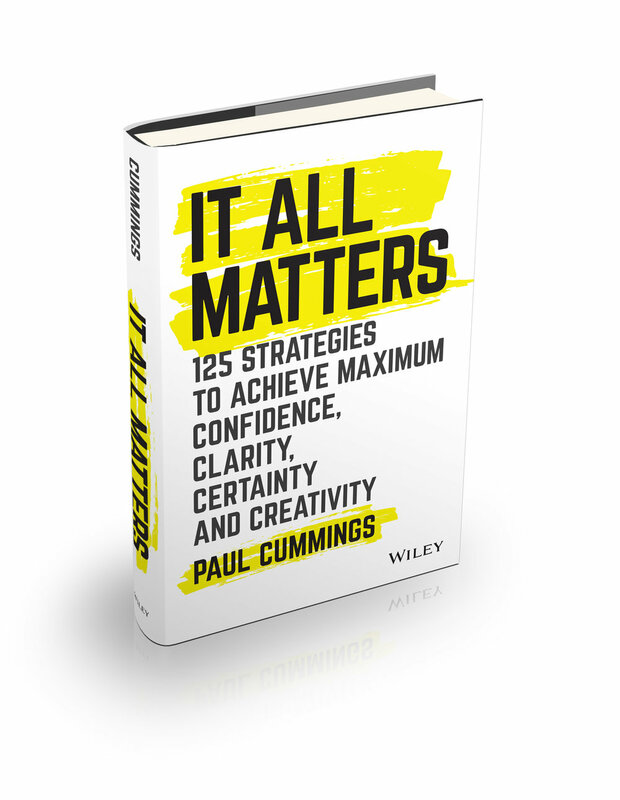 In my new book It All Matters, I discuss creativity in great depth. As I look back on my most creative times in life, I realize that the majority of my success is tied directly to the moments that I refused to quit, give up, or allow negative circumstances to affect my mental and emotional state. Years ago I had the distinct pleasure of meeting Art Williams at the Marriott Hotel in New Orleans, Louisiana. I had been invited to hear him speak by a friend of mine. I can truthfully say that it was the greatest speech I ever personally witnessed. Do you have a burning desire to reach your goals? If not, then what is it that caused you to lose your passion? I firmly believe that your inner desire will not only help you break through barriers in life but it will also help you overcome the obstacles that other people view as being “impossible”. Goal setting. In my opinion, it's the single most important thing that any leader could ever teach their employees. I also think it's one of the most misunderstood processes in the world. In life, sometimes you can work hard and hope for successes, and they just might come to you. However, the true winners in life know that when they take the time to plan out all of their accomplishments, they can expect success. Years ago, when I set the lofty goal of owning and operating my retreat center, I used the process of Visualization to imagine my future vividly - and then I wrote out every detail. Don't Leave Your Dreams in "Dreamland"
Just as you can mentally paint a picture of the life that you truly want; you can make your vision a reality. I firmly believe that the level of action that you take to pursue your dreams and goals will determine your level of success. You must be willing to pursue your goals and dreams relentlessly, and you must create a strong reason for “why” you are pursuing them. So, do you know your big “why”? I love enthusiastic people who display a genuine passion for their life, and what they do. Enthusiasm is not a “fake it until you make it” premise as many have surmised. I like my enthusiasm served up with authenticity. What about you? The other day I was working on a new project for a book series entitled Simple Strategies for a Complex World® at one of my favorite coffee shops in Venice Beach, California, and I noticed a man reading a pocket-sized book next to me. This piqued my curiosity as our new book series is designed to deliver life-changing content in “bite-size” bits of stories, quotes, and impactful strategies that are simple and easy to implement. I decided to ask a simple question. “Excuse me, do you mind if I ask, do you often read a small book like the one you are holding?” His answer was yes. He went on to say that they are perfect for a person with a busy lifestyle. “I can grab one and enjoy learning in real time,” he said. It turned out, Lucas was also an author and he has a new book being released in two months. Our conversation was spirited and engaging. We discussed the publishing industry, book promotion strategies, and social media campaigns. Wow. I was so happy to hear this amazing feedback. Why? Because every word he said reinforced my intention for our new book series. We all need feedback and reinforcement as we pursue new goals and dreams. Random moments are the best. 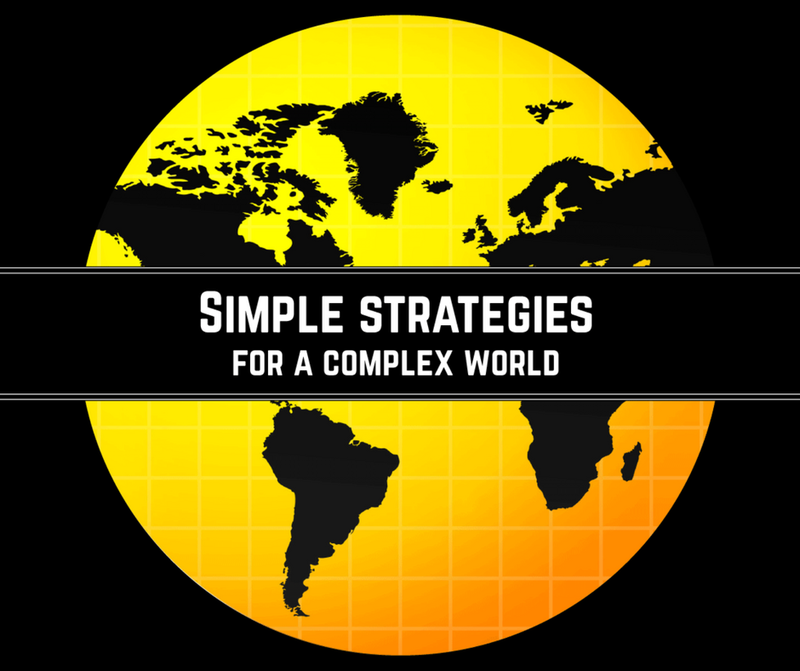 More information about Simple Strategies for a Complex World® is coming soon! We all have the power of choice. This power can be used as a life-changing element, or it can be used as a destructive tool. Taking the time to plan is a part of preparation. We've all heard the old saying: "If you fail to plan, you can plan to fail.” Those words and sentiments have been passed on for years because that statement is true! The frustration was apparent from the first word she spoke in our coaching session. To say this executive was riding the "misery train" every day would be an understatement. What do you enjoy most about your work? "Every day when I get to leave." Preparation and habits are two pieces of the same puzzle. Did you set any goals for yourself in 2017 that you didn’t quite finish... or even start? I want to encourage you to join my "Sprint to the Finish Challenge," because we’ve ALL been there. I think every person that I've ever met, seems to have some kind of a dream, deep down inside of them, that they ultimately want to fulfill and achieve. Those are the dreams that will get them up early and also keep them up very late. They are the dreams that will truly inspire them to keep on living. How do you define a winning habit? It's important to understand how you define this powerful component of life before you seek to improve or eliminate your current habits. If I asked you to rate your current habits as a whole based on the following statements, what would your ranking be?